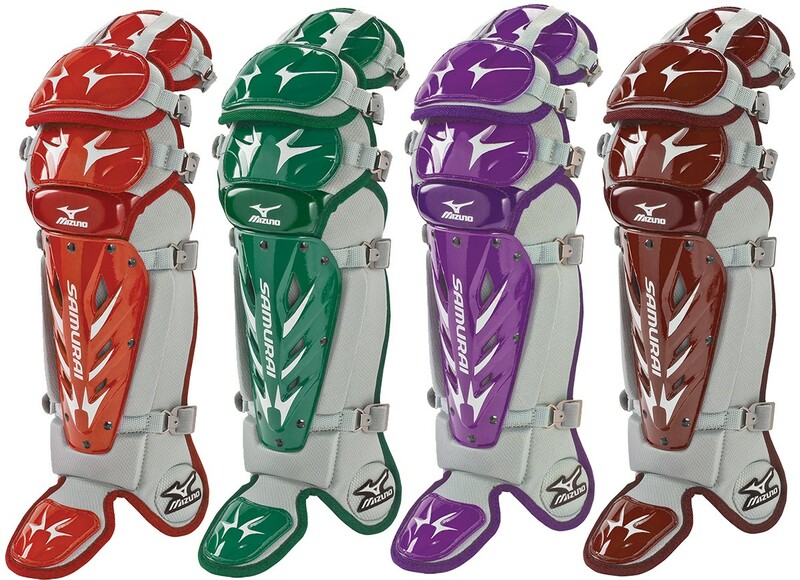 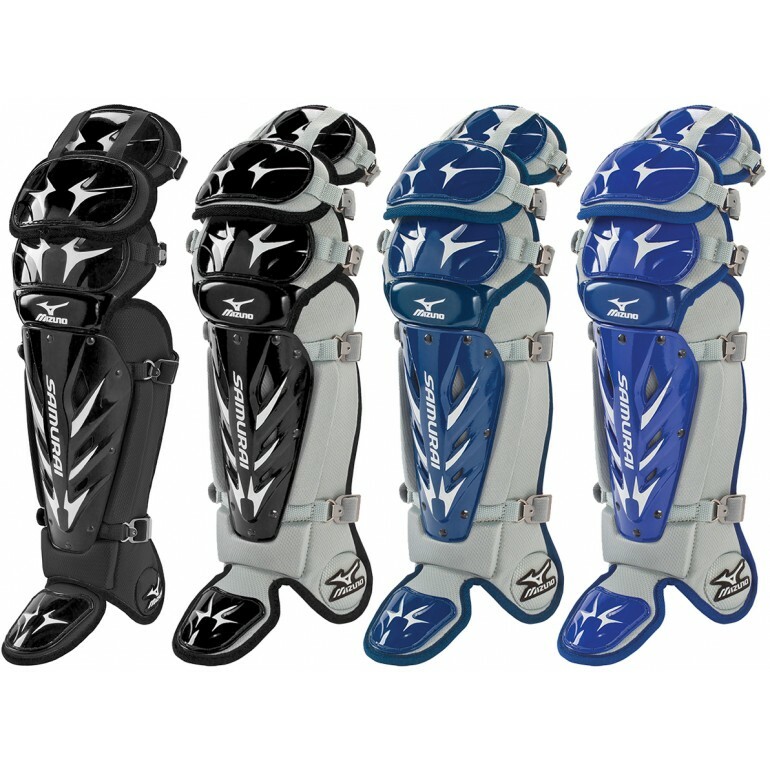 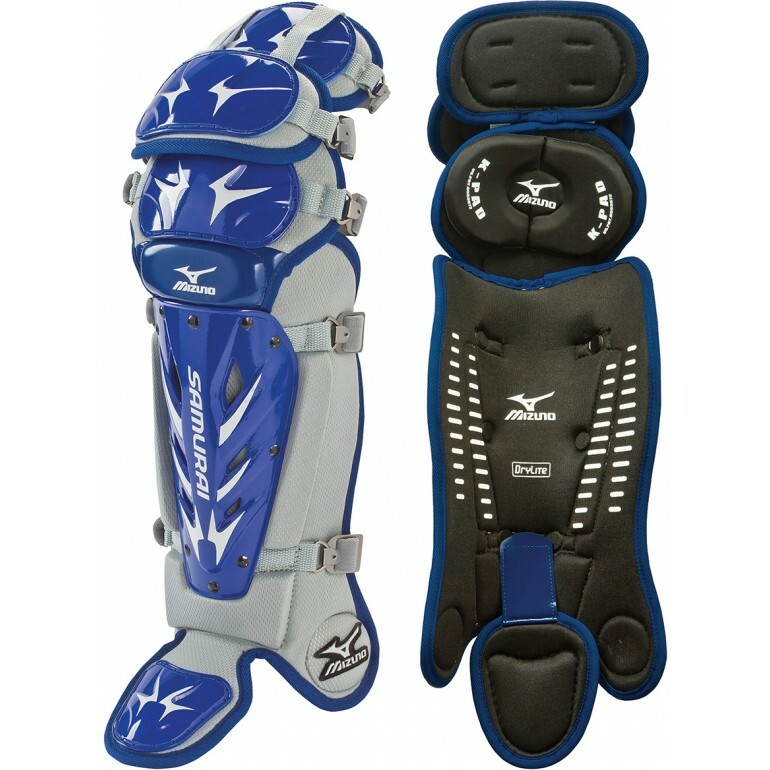 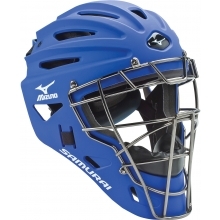 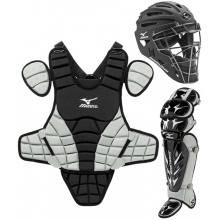 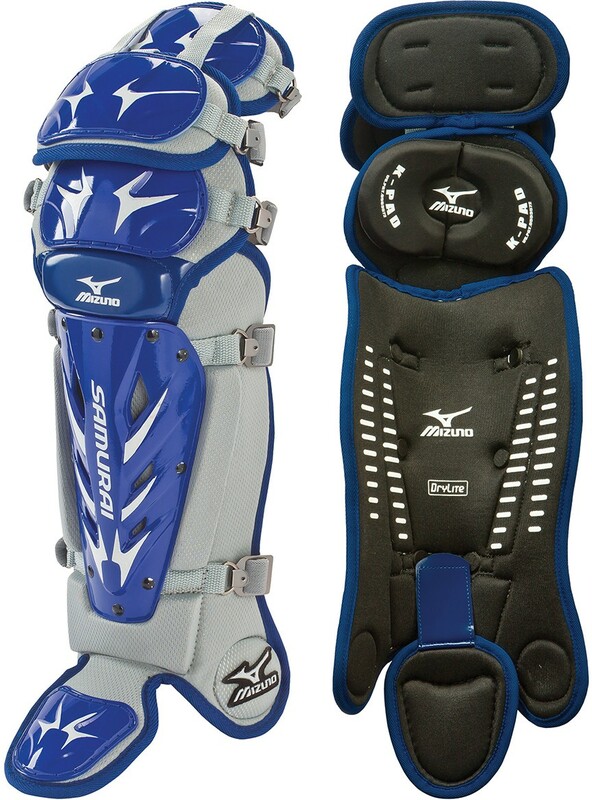 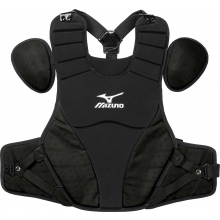 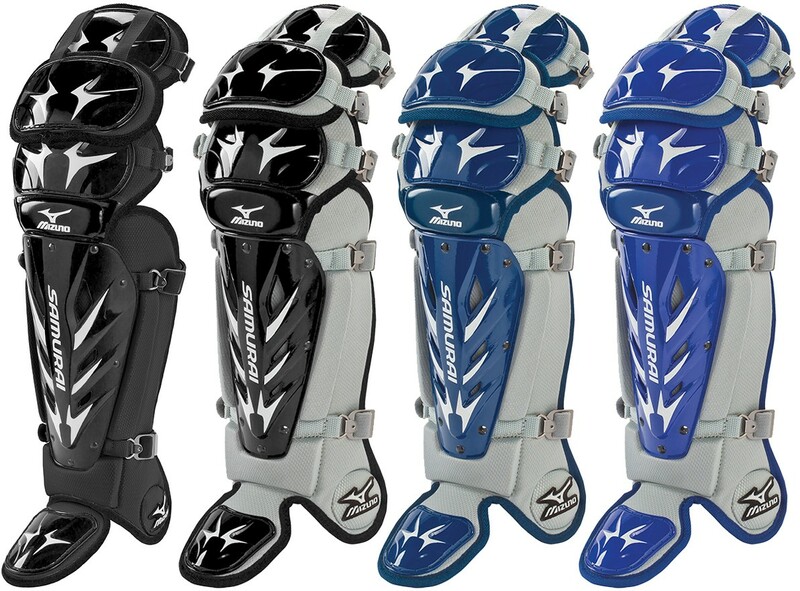 Mizuno 380198 Samurai G3 Catcher's Leg Guards, Intermediate, 15.5"
Mizuno Samurai G3 intermediate leg guards feature innovative construction for durability, comfort and lightweight performance. 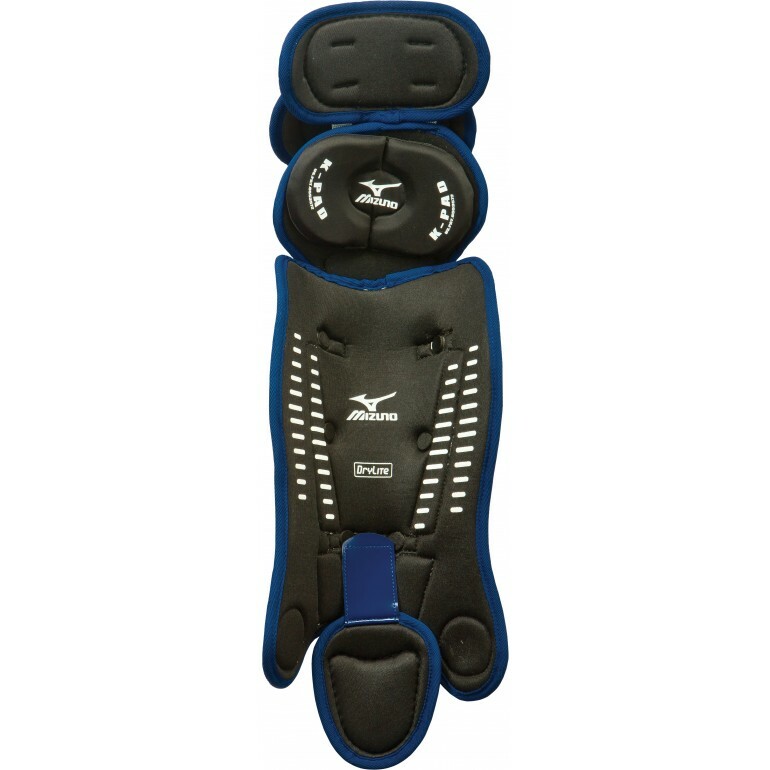 The patented detachable inner K-Pad provides a superior fit and the flexible triple knee cap provides critical knee protection. 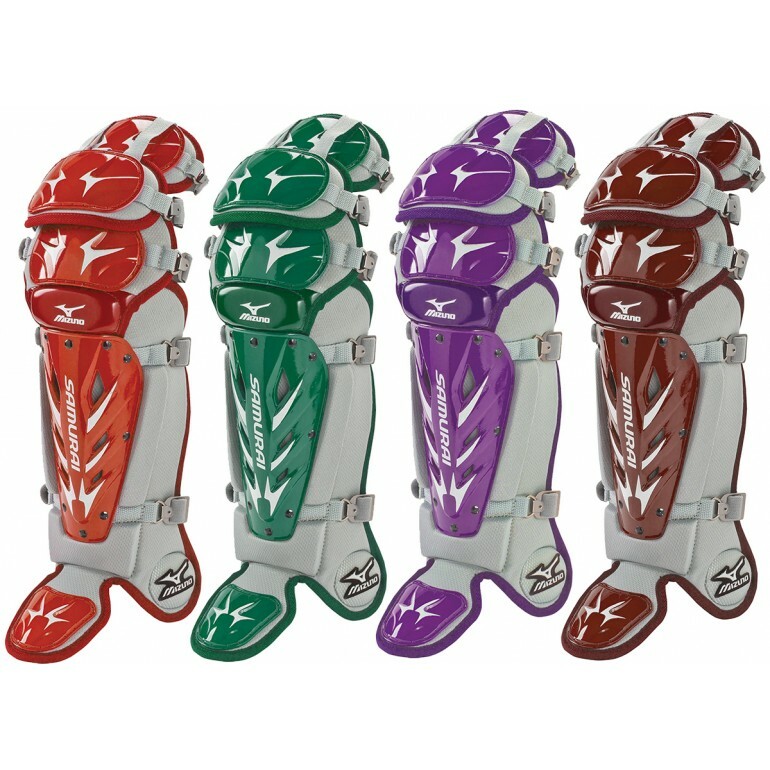 Grippy DryLite printing on the inside of the leg guard reduces slipping due to moisture while the detachable/removable toe cap provides comfort and a more precise fit.